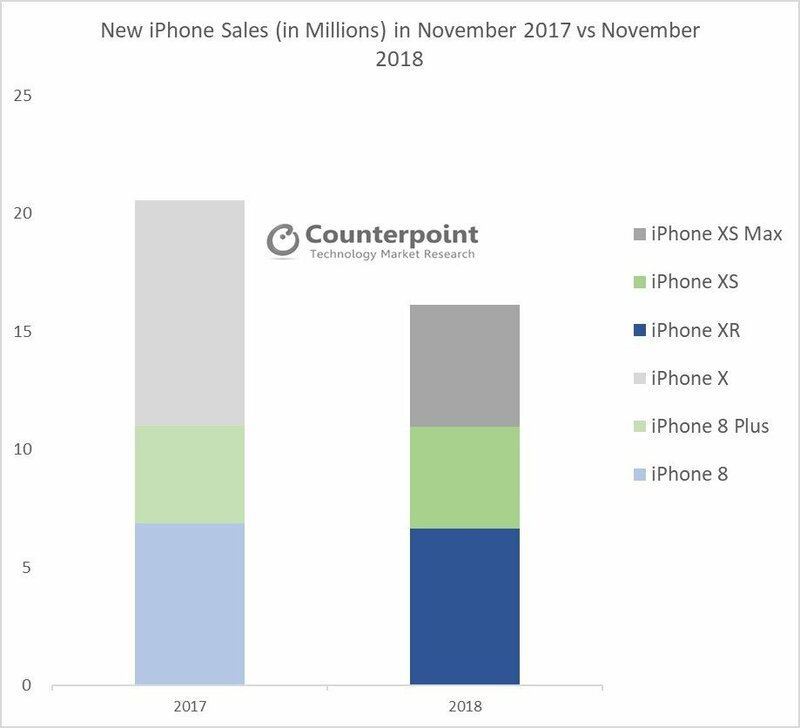 iPhone XR became the best-selling iPhone model in November 2018. In contrast, last year in November the more expensive iPhone X was the best-selling model with almost 50% higher volume compared to the iPhone XR in November this year. The overall sales of new iPhones took a hit in November due to slower sales of the series in the Asia Pacific region (excluding China and India), Europe and US. The decline in the US and Europe is due to the lengthening replacement cycle and decreased operator discounts this year during the launch of new iPhones. While the decline in emerging markets like the Asia Pacific (excluding China and India) is due to the higher price when compared to offerings from Chinese players. Sale of new iPhones (XR/XS/XS MAX) launched in November were down over 20% YoY compared to last year’s launches (8/8 Plus/X). The iPhone XR series outsold XS and XS Max series, iPhone XR 64 GB became the best-selling iPhone during the month. iPhone XR sales, when compared to iPhone 8, were down 5%, both being the cheapest new iPhone available during the month of their respective launches. Similarly, iPhone XS, when compared to iPhone 8 Plus, was up 3% YoY. iPhone XS Max, when compared to iPhone X during the same month last year, shows a 46% decline in sales. However, cumulative sales of iPhone XS Max were 50% higher till November than that of iPhone X last year due to the early availability of the higher priced models this year. We estimate iPhone XR to further eat into the share of higher-priced iPhone XS and XS Max during December 2018. Sales in China during November were steady due to the popular 11.11 (Single’s Day) sales. Even then, sales of iPhone XR remained lower than expected due to a lack of innovative features and just one camera. And while it’s the cheapest new iPhone, it still is expensive compared to local competitor products. China iPhone sales in December will be down partly due to the ongoing trade war between US-China and Chinese companies encouraging employees to buy smartphones from Chinese OEMs. 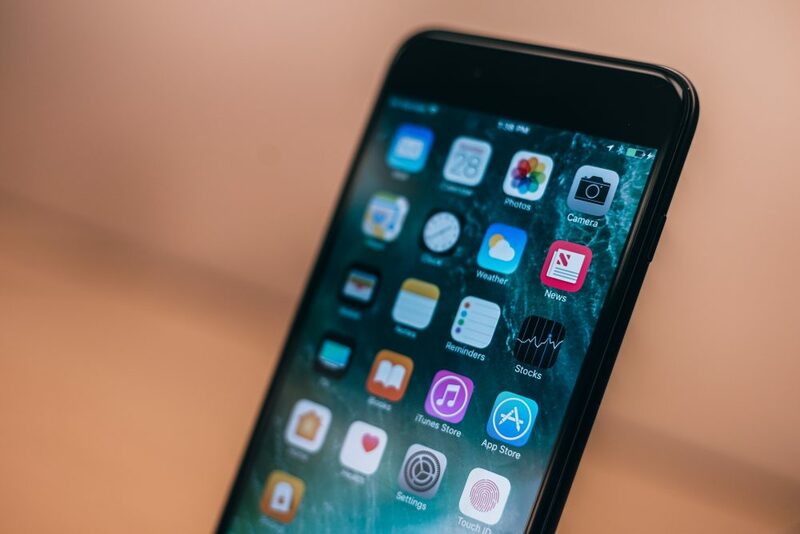 We are also expecting an increase in sales of older iPhone models like iPhone 8 and iPhone 7 in emerging markets due to the high price of newer models. 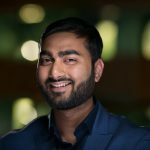 For regular updates on Apple iPhones, other smartphone and emerging technology-related insights please register on our research website (click here).